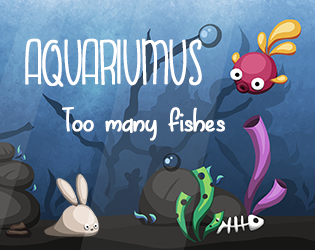 The aim of the game is to manage an Aquarium. If you have a species that is too present, you have great chances to break the equilibrium of the aquarium and destroy all of the species. Be aware, difficulty grows over time, the more you go, the more the species will eat or produce. There are some spells available to help equilibrate the game. You can check the number of days you survived in the top right corner, do not hesitate to leave your score in the comments.